While we hope to be able soon to share at least the high quality trailer of the game, here are new screens of Spider-Man. This game looks amazing, the gameplay and combat are spot-on. Insomniac is really passionate about this game and it shows. Being able to work on Spider-Man is the dream for many of them. And a dream game for many Spidey and/or Marvel fans. Hopefully this game is such a huge success that more and more developers start taking interest in the Superheroes genre. Really need a "real" Iron Man game. PS. That's Shocker in the 3rd image, nice. 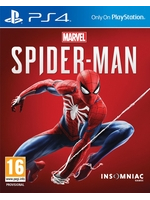 I love Spider man so this is probably a day one buy for me. It looks nice but it also feels a lot like a re-skinned Batman game. The combat is almost copy n paste. 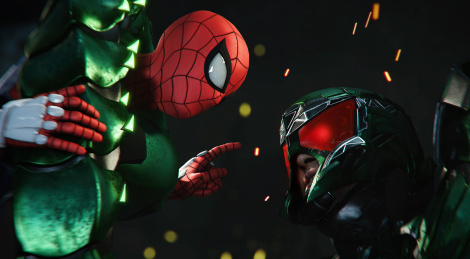 Web slinging is fun I’m sure but I also think Spider-Man has really cheesy lame bad guys so that does hurt the game for me. But the graphics at least looked very polished. I'm not too fond of the vilain's costumes (a bit too 'armorey') but the colors are nice and fitting. i like that they're all instantly recognizable as who they're supposed to be. these attempts to "ground" comic book characters often results in horrible things...the above being one example. Glad i didn't watch Amazing spiderman 2. I mean, what's the point if Peter Parker isn't a dork anymore? Should at least be an awkward kid so puting on the costume feels liberating. Plus that music was such a downgrade compared to the previous trilogy. And about the grounded look, i wish producers and artists realize one day that the comic-booky aesthetic is half of the charm of these franchises. My personal wish is for scarlet spider and vintage costumes unlock but the default one will do nicely.